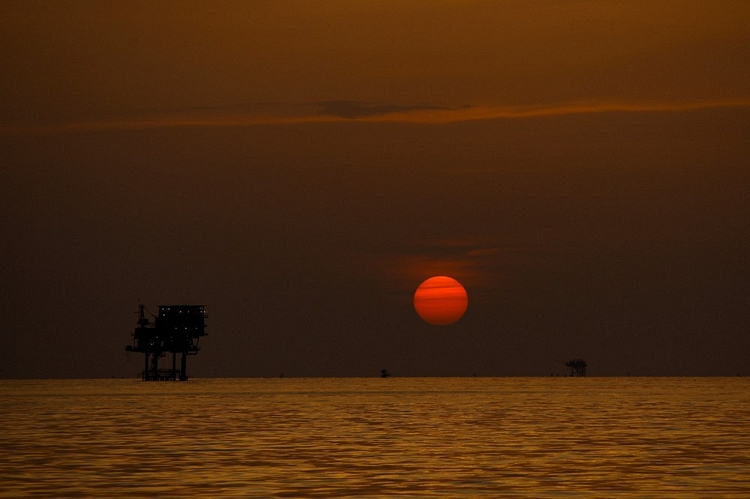 On July 29, 2010, Derick Hingle took an excellent picture of a sunset over the Gulf of Mexico. It is particularly interesting because, unlike in most sunset pictures, the Sun is not overexposed. Hence, it has the correct red-orange color (instead of yellow) and it clearly shows the elliptical shape caused by differential refraction in the atmosphere.